An ultra marathoner and running coach captures the energy and joy of running in this illustrated, full-color motivational interactive fitness guide and journal that will inspire every type of runner—from beginner to experienced marathoner—to shut up and run. Running isn't just an activity, it's a lifestyle that connects runners with the world around them, whether they're pounding the pavement of crowded big city streets or traversing trails through quiet woods and fields. 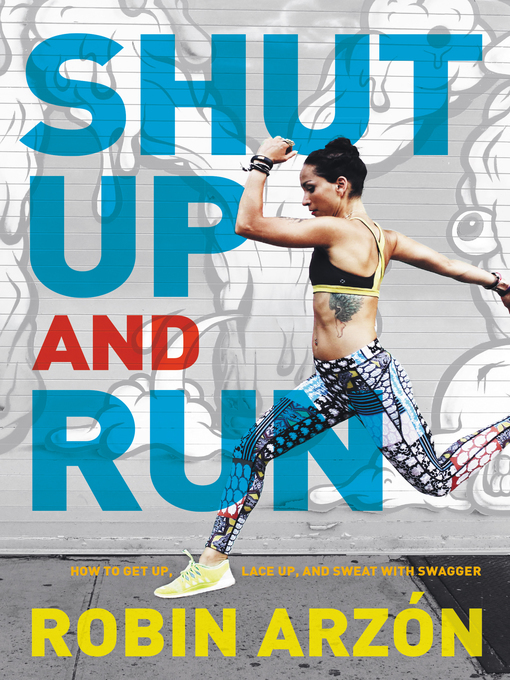 Reflecting the excitement, color, and focus of the running experience, Shut Up and Run offers tips, tricks, and visual motivation to help every runner cultivate miles of sweat, laughter, swagger, and friendship. Combining a fitness manual, training program, and self-help advice book in one, this gorgeous, four-color book—filled with anecdotes and stunning action imagery, and supported by graphic inspirational quotes—contains essential training tips for every level, including meditation and visualization techniques, that address a runner's body and mind. Robin Arzon offers unique style tips and practical gear recommendations to help you show off your best stuff mile after mile, and tells you everything you need to know, from how to pick the best running shoes to how to get off that sofa and go. No detail is left to chance; Shut Up and Run is loaded with information on every aspect of the runner's world, from gear and music to training for a half marathon and post-race recovery tips. Robin includes space at the end of each chapter to track your progress as you build up to your first marathon or other running goals. Designed to help readers find the information quickly and easily, loaded with practical advice, style, and attitude, this practical guide—written by a runner for runners—makes it clear that to succeed, all you need to do is shut up and run!